Obtained a defense verdict in a multimillion-dollar contract dispute by establishing the unenforceability of a liquidated damages provision. In 2012, Jay completed a five-year term as managing partner of the Pittsburgh office. During his first term, the Pittsburgh office revenues and income grew significantly, “even though it encompassed the economic downturn,” said the Pittsburgh Business Times. He accomplished this growth by attracting top talent, growing client relationships and watching costs. Jay is frequently sought by the business and legal news media for insights into law firm administration, legal trends and changing market conditions. 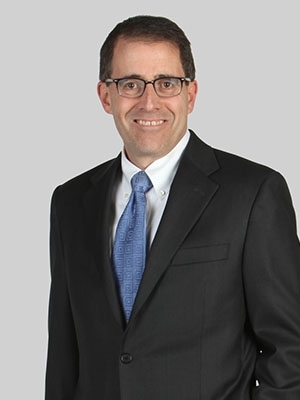 Jay has presented continuing legal education seminars and authored articles on trade secret protection, enforcing restrictive covenants and on the pros and cons of alternative dispute resolution proceedings. He has been quoted in local and national newspapers and has appeared on radio and television newscasts regarding high profile commercial litigation matters. Jay presented on selecting arbitration and the best practices regarding the types of provisions to address the number of arbitrators, scope of discovery, and permissible motions. View the PowerPoint that accompanied the presentation.